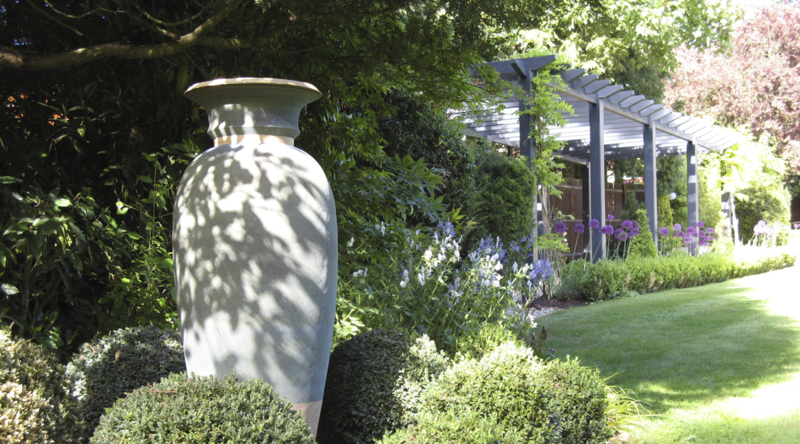 Accessories like handmade ceramic pots can add style and interest to your garden. 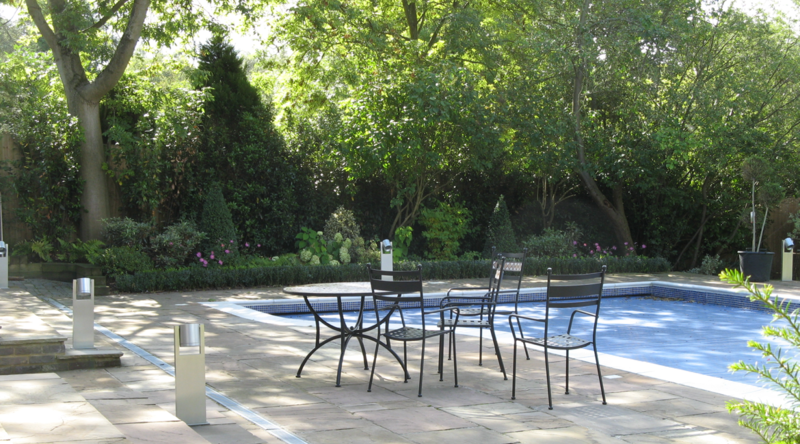 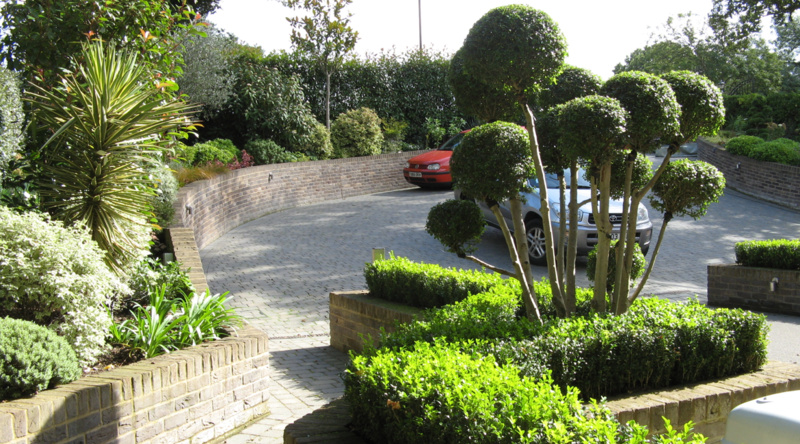 The brief was to re-design the planting in the front and rear of this modern family home. 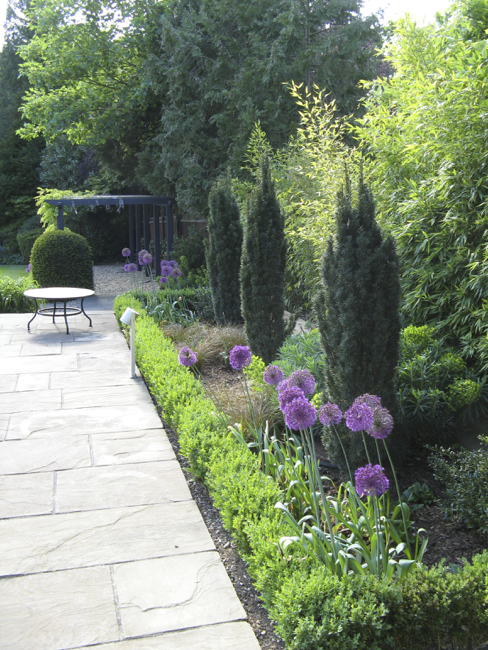 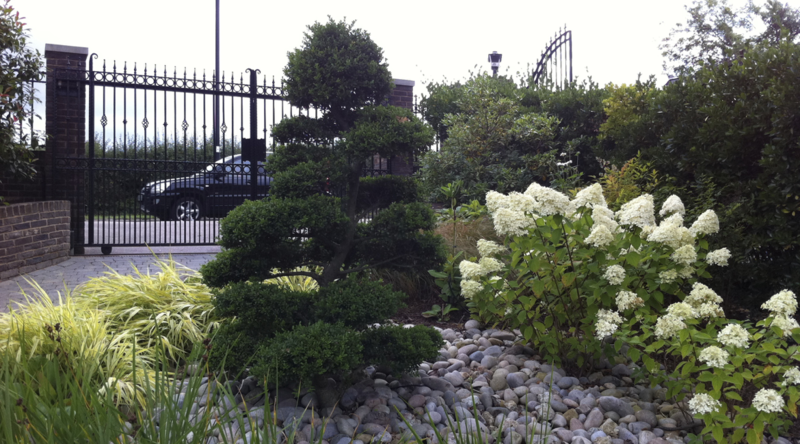 Our clients wanted a garden with a certain wow-factor, creating a stunning entrance as you entered their property. 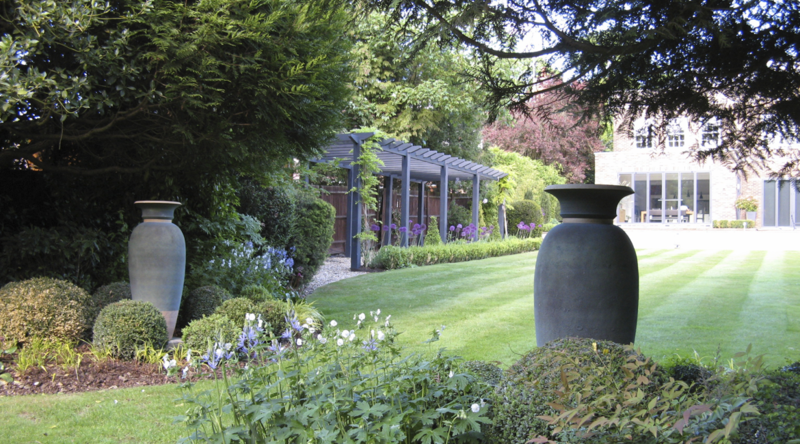 We commissioned two stunning Philip Simmonds sculptural pots as a feature. 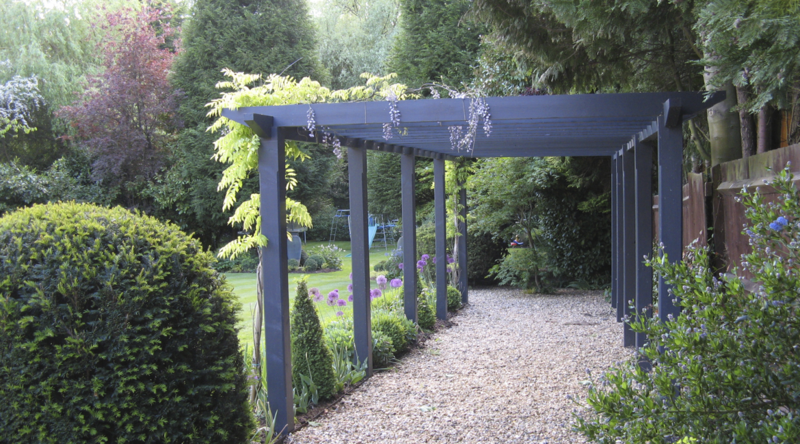 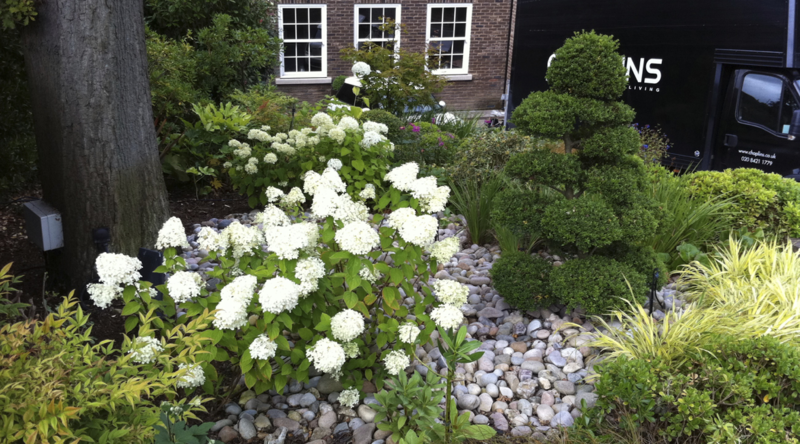 We also removed some overgrown shrubs and replaced them with a wooden pergola which led to the rear of the garden.